With the growing opioid epidemic, more and more pain sufferers are beginning to realize the detrimental effects opioids can have on a person. When the United States (less than 5% of the world’s populations) consumes 80% of the world’s opioid supply, you begin to see this is a highly-localized problem. The problem becomes dangerous when a person begins to abuse and develop a dependence to the drug. A recent study, however, has shown that pain sufferers are opting for medical cannabis rather than traditional opioids for pain management. In collaboration with HelloMD, a community-based medical cannabis site, the University of Berkeley surveyed 3,000 medical cannabis users on their cannabis and opioid use. The study found that a staggering 97% of respondents felt that cannabis helped them reduce their opioid painkiller usage. Furthermore, 92% of respondents claimed that they preferred to use cannabis over opioids for treating their painful symptoms. 81% of respondents stated that cannabis alone was a far better pain reliever than a cannabis and opioid combination treatment. Although this was a survey-based study, it shows a strong correlation between cannabis use and pain relief. Additionally, cannabis is not toxic or create a dependence, unlike opioids. Essentially, it is a safer alternative treatment when opioid medications do not help. The ability to take more than a pill and instead have a plethora of cannabis products has made finding an effective pain relief a cinch. The rate of opioid overdoses and addiction has gotten to a point where sufferers are finding alternative, non-addicting relief. Cannabis, unlike traditional opioid painkillers, are not addictive. That does not mean that cannabis cannot be abused, but side effects are very mild. For instance, the more you use cannabis the more product you need to achieve similar results, which is referred to as “tolerance.” If you’re a chronic user, this may present a problem, one which can be alleviated with a couple weeks of not using to get brain levels to normal and continue to enjoy effective pain relief. If you’re currently using opioids to manage your pain, consult your physician first before consuming cannabis for its analgesic effects. If you do plan to use cannabis to treat your pain, remember that everyone responds differently to different cannabis doses, strains, products, etc. Patients typically experiment to find the most effective pain relief. 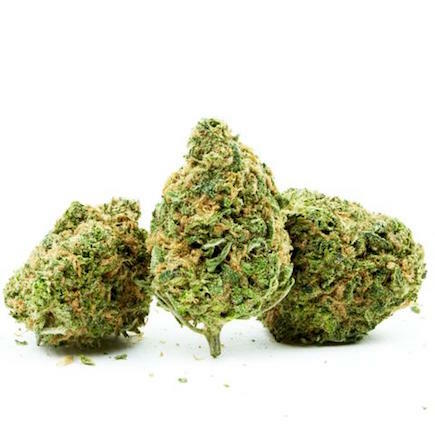 Many patients report that indica strains (due to their high THC content) can provide maximum pain relief in low to moderate doses, but not high doses. With this in mind, you can start at an a small 5-10 mg dose and build up from there.